The Horned Dorset Inn is the quintessential destination for memorable fine dining and lodging in Central New York State. Classical and contemporary French cuisine using the finest organic, local and international ingredients, attentive service, and gracious Victorian accommodations are the hallmarks of this countryside hostelry. It has been lovingly managed by the same family for over 40 years. Check the events page above or join us Friday nights for Live Music in the library. Find dates for the Sunday Dinner-Concert Series on our Events page or join the mailing list to receive email announcements. Click To Request A Gift Certificate! The Horned Dorset Inn was founded in 1977 by four partners, Harold Davies, Kingsley and Bruce Wratten and Donald Lentz. They had one dining room and limited restaurant experience (they were teachers of Art, Music and Literature). They renovated during the day, using architectural antiques from the area to restructure the buildings, and served dinners at night. Thus began what became a legendary destination for French fine dining and accommodations in the midst of apple orchards, organic gardens and, for a time, Horned Dorset Sheep. Now, Aaron Wratten – Kingsley’s son – and his wife Maddalena Molli bring new experience to the time honored hostelerie. Aaron traveled to Paris for his culinary studies and then worked at several prestigious restaurants in New York City including “Aureole” under Charlie Palmer and “Restaurant Daniel” under Daniel Boulud, before becoming the Executive Chef at The Horned Dorset Primavera in Rincon, Puerto Rico. Chef Wratten balances traditional French training with seasonal contemporary creations. He combines produce from the restaurant’s own organic gardens with locally produced meats and cheeses. Fish is an affinity for the chef, given his 25 years at a seaside resort, and Vegetarians will delight in his mindful creations. Kingsley and Roberta Wratten and Harold Davies now manage the Horned Dorset Colony, an artist residency program also in Leonardsville. Ten comfortable, well-appointed rooms are available in several restored houses within walking distance of the restaurant. A European-style buffet breakfast is included. Room rates begin at $180 for a Queen Room, and $220 for a King Suite. Entire houses are available for families or private groups. We are also pet friendly ($35 additional). Profits from all room sales benefit The Horned Dorset Artists’ Colony. Please call 315-855-7898 to reserve a room or press the button below to request more information. 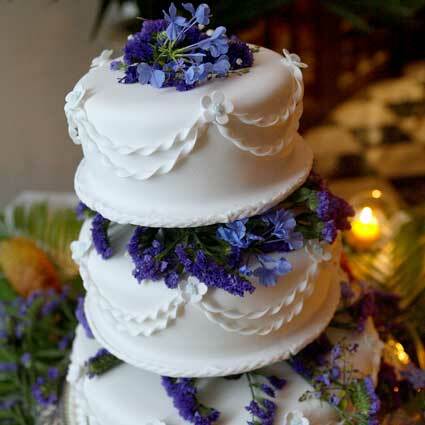 Choose your wedding menu from our repertoire of renowned cuisine. The Chef will customize the menu with you to suit your taste and budget, from 3 to 6 courses. We want you to enjoy your own special event. Traditional or untraditional, over-the-top, or elegantly understated, we will work with you to insure that your event is seamless and memorable. 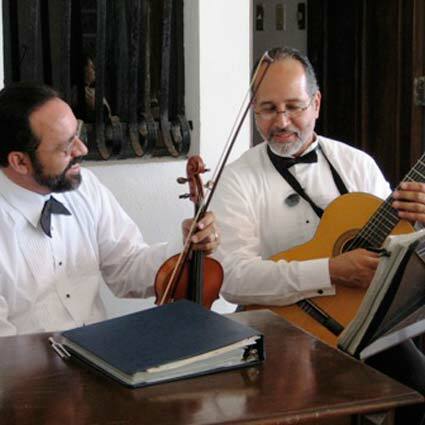 An experienced coordinator will be dedicated to your specific event, from 6 to 80 people. Our Private Dining Rooms accommodate 2 to 12 guests and may be reserved for small weddings, special occasions, business meetings, private gatherings, or customized tasting menus and wine pairing dinners.We can accommodate up to 80 people for a reception, presentation and dinner with pricing to meet most budgets. We also provide tasteful meeting spaces for day-long meetings complete with catered breaks and gourmet lunches. When you prefer to entertain in your home, let The Horned Dorset Inn do all the cooking for you. For a holiday feast, business dinner or family gathering, bring home our signature Hot Cheese Souffle, well accompanied meat, game, fish and signature desserts. Pick up your fully prepared gourmet dinner, set the table with your best china and enjoy. We also offer catering for private and corporate events, large and small: Cocktail Parties, Light Dinners, Buffets, Gala Events, Business Office Lunches, Corporate Events. Please contact us with your event requirements and general budget for a seasonal menu and a quote. The Horned Dorset Inn and Restaurant buildings were listed as “The Wheeler Block Complex” on the National Register of Historic Places in September, 1983. 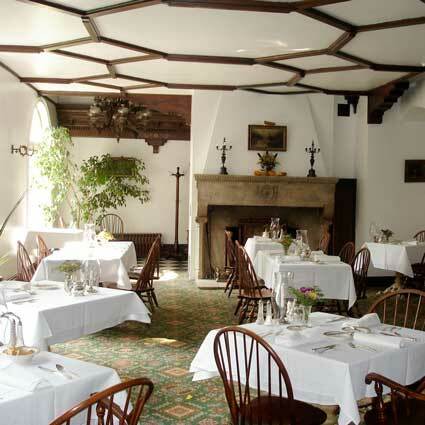 The restaurant, which has enjoyed a reputation for world class cuisine for more than 40 years, is open to the public and sometimes serves as a dining room for The Horned Dorset Colony. of the commercial and manufacturing success that the town once enjoyed. Leonardsville was settled in the early nineteenth century as a result of the excellent water power available from a wooden dam in the Unadilla River. The locally abundant water source encouraged Hazard Clark to establish the Fork and Hoe Company, a farm implement factory, in 1808. In 1830, H. Samuel Brand purchased the Fork and Hoe Company from Clark. In 1858, Brand, his brother-in-law John Wheeler and another local businessman, Daniel Hardin, established the Leonardsville National Bank adjacent to the c. 1840 vernacular Federal style structure in which Wheeler lived. In 1874, he transformed and enlarged his c. 1840 home into an elaborate Italianate style residence and built the large carriage house to the rear of the property. Wheeler incorporated the offices of the Leonardsville Bank in a two-story addition on the north side of the residence. Now in partnership with Daniel Hardin, Wheeler built the less pretentious commercial structure adjacent to the residence and bank. In addition to the “Crandall’s General Store,” there commercial structure housed several businesses as well as the post office. The large hall on the second floor, known as Wheeler’s Hall, was used as community meeting space, movie theatre, and civic center. In addition, graduation exercises of the Leonardsville Schools were held here. In use today as a hotel and restaurant complex, the Wheeler House Complex remains as the architectural and commercial focal point of Leonardsville and as one of the few remaining structures historically associated with the nineteenth century development of the rural hamlet. Please use the form below to contact us for more information or for any reason at all! Receive the latest news and updates from The Horned Dorset Inn.